P.A.W.S. Polite, Accountable, Wise choices, being Safe. 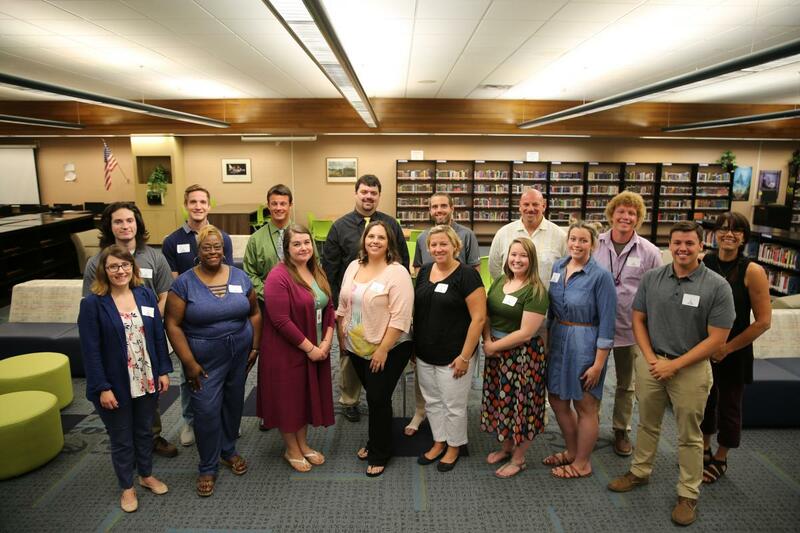 Next Wednesday, Aug. 23 is the first day for grades 1-12 (Thursday, August 24th for Kindergarten), but today Penn-Harris-Madison’s newest teachers had their first day of school! It was a busy New Teacher Orientation Day for this group of creative, talented and energetic teachers. This year P-H-M hired 41 new elementary, middle and high school teachers, as well Exceptional Education professional staff. 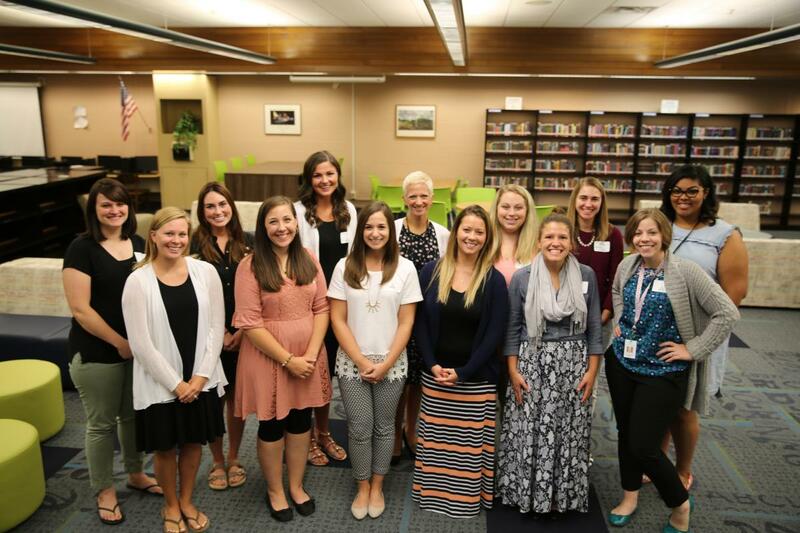 These newest teachers joined the ranks of one of Indiana’s highest ranked public school districts. As an “A” rated school and Four Star School District, 100% of our teachers are rated “Highly Effective” or “Effective.” Ongoing professional development supports and empowers our teachers to then in turn provide an excellent education to our students! Browse the new faces you’ll be seeing throughout the 2017-18 school year! Pictured left to right, 1st Row: Samantha Wendzel, Kindergarten, Walt Disney; Anna Carroll, Grade 1, Walt Disney; Lauren Henry, Speech Pathologist; Jessica Laskowski, Grade 4, Prairie Vista; Grace Heise, Grade 1, Elsie Rogers; and Ryan Edgar, Grade 1, Walt Disney. Pictured left to right, 2nd Row: Lindsey Blackford, Grade 5, Walt Disney; Allison Bergen , ENL, Moran; Melissa Macellari, Kindergarten, Elm Road; Kara Front, Grade 1, Elsie Rogers; Kelsey Moon, Resource Teacher, Walt Disney; Heather Williams, Speech Assistant; and Aundrea Taylor, Kindergarten, Walt Disney. Pictured left to right, 1st Row: Laura Mason, ELA, Grissom; Sheila Davis, ELA, Schmucker; Courtney Piazza, Resource Teacher, Schmucker; Mikayla Garza, Science, Discovery; and Sarah Walsh, Science Teacher, Discovery and Grissom. 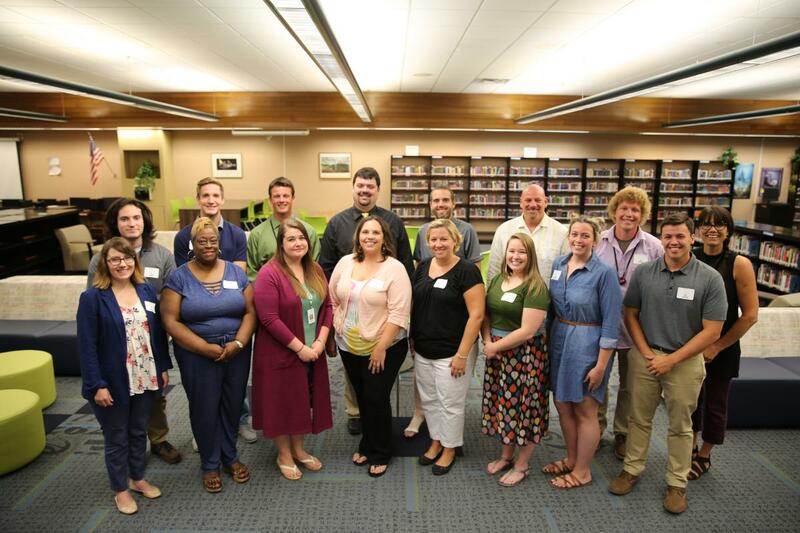 Pictured left to right, 2nd Row: Eric Spatt, ELA, Grissom; Tony Krupa, Math, Schmucker; Caroine O’Toole, Resource Teacher, Schmucker; and Maggie Hartford, Social Studies, Schmucker. Pictured left to right, 1st Row: Crystal Ryan, Theater; Dorinda Bond, Business; Megan Bidigare, Counselor; Michelle Shanholt, Resource Teacher; Mercedes Muniz, Spanish; Shannon Dunfee, Spanish; Erin Hederman, Resource Teacher; and Bryan Hunter, Economics. Pictured left to right, 2nd Row: Brian May, Physics; Joshua Hart, Social Studies; DJ Landoll, Assistant Band Director; Zachary Coudret, Assistant Orchestra Director; Bennett Blazo, Social Studies; Dane Whipple, Resource Teacher; Jeremy Starkweather, English; and Jeremy Starkweather, English. P.A.W.S. : Polite, Accountable, Wise choices, being Safe.